It always has been and probably always will be. People these days are now acquainted with social media, they know how it works, and why it’s fun. They trust it and they enjoy it. Therefore, they use it. Essentially the more people and information that these social media platforms have access to, the more money they make from businesses that spend money on ads. And today, 79% of people living in North America have a Facebook account and 80% of the time spent on the internet is on social media. Since Facebook sells all of their user data to advertisers, they make a lot of money as do the businesses who buy that data. That also means that trying to grow an organic audience on social media platforms is only becoming more difficult. But don’t worry there are still many ways you can increase your Facebook and social media engagement. Facebook, LinkedIn, YouTube, Snapchat, Pinterest, and Instagram want you to pay them money to reach your audience. They don’t want you to be able to do that for free. Well at least, not easily. In order to really be able to build a sustainable social media page that generates your business leads, sales, and traffic to your website organically. It would be nearly impossible to do for the average business, without spending some money on ads. While social media platforms might look like a simple and fun idea on the outside, the reality is that each one is a business. Still, though, the cost of paying to play is more than well worth your time. It not only will have a massive positive impact on your business but literally, almost the whole human race uses social media, and they use it regularly. And that means if you advertise on the platforms, people will see your business daily. So what are you waiting for? Start advertising on Facebook and Instagram already. Social media is attracting new people like crazy, and the numbers show that the platforms don’t seem to be going away anytime soon. For that reason, many businesses, marketers and agencies are starting to realize that using the social media platforms to spread their message, products, and services, even despite knowing the need to “pay-to-play”. They are still allocating marketing budgets these platforms. However, even these massive numbers of businesses, marketers, and agencies who use social media to promote their businesses have a difficult time trying to get results. 42% of business owners are unsure if their social media marketing strategies work. But 71% percent of businesses plan to use social media to acquire new customers. This is primarily because they lack the understanding of how to really generate engagement, sales, leads and how to measure the results. And why businesses continue to move on to social media to rely on business is because they hear all the success stories of how brands are making more profits than ever using the platforms. And that’s a sad truth. More businesses will use social media with little understanding of how to make it profitable. It’s sad because social media is such an easy place to make money with ads and it’s sadder to your pocketbook. So first, I’ll discuss why that’s happening on social media platforms and then I’ll give you some strategies on how to get the most out of your advertising efforts on social media. You used to be able to grow a social media following with just a little creativity some consistency and determination. Now, however, you’re also going to need dollar bills. And the more dollars you have, the more you’ll be able to reach your audience and fulfill your brand goals. These changes that have been taking place on Facebook, YouTube, Instagram, and LinkedIn should be of no surprise. The massive social media powers have come to reap the profits they deserve after being able to show the value of having billions of users on their platforms. Over the years, that truth is only becoming more acceptable to brands. In fact, on average, brands only reach 6% of their followers without using paid advertisements. Clearly, that isn’t very promising. So all of you who focus on growing your followers, your only getting 6% of what it’s worth. Organic Facebook engagement is going down. To simply put it… Not only is it getting more difficult to reach your audience, but it’s nearly impossible to get them to engage. The answer, of course, is to run paid advertisements. But running the wrong paid advertisements can be worse. See this ‘boost post’ button that Facebook constantly encourages businesses to click. If you have a Facebook page, you already know exactly what I’m talking about. That is Facebook’s way to make money from beginners. It’s not a great way for you to make money. And that boost button becomes even more tempting when you find out that Facebook won’t even show your post to all of your current followers. You might think that is because only 852 of my 4,383 followers were on at the time. But no, that is not the reason why. I have 2,000+ daily active users that follow my page. The real reason why is Facebook intentionally restricts how many people a page can reach with their posts organically. The primary reason for that is because they want you to click that boost button, and they want you to do it as often as possible. The more you do, the more money they make. That is, of course, only one example of how social media is now forcing advertisers to make a decision to spend money on the boosted post method. So now that I’ve gone over some of the reasons why Social media is becoming “pay-to-play”. It’s time I walk you through 4 ways you can get more from the money you spend on social media ads. Since every advertisement is going to cost your cash, you shouldn’t just run a boosted post or other social media ads unless you’ve actually determined what objective and goal you have for your ads. If you don’t know, then it’s probably best to keep your wallet put away. Just start by taking a look at your funnel… What are the different phases someone goes through before they decide to spend money on your product or service? Then ask yourself what advertisement goes where in the funnel and what is the end goal of the ad? Are you trying to generate engagement, website traffic, sales, conversions, or leads? The goal you have for your ads should directly impact how the copy, image/video, and call to action and campaign type that you create and setup. If you don’t understand your goal then please don’t run ads. Especially since running an unsuccessful advertisement will be a huge waste of time and money. Each ad in your funnel will have a different purpose and reason behind it. 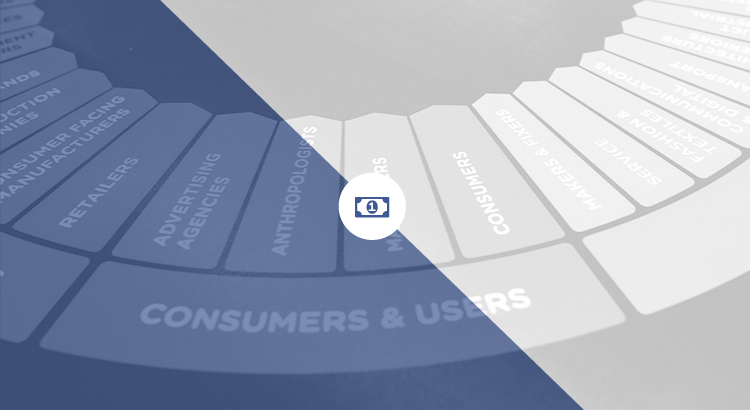 If your Facebook Pixel is connected to your website it will more than likely visually display what your sales funnel already looks like. Awareness: they see your Facebook page or ad.PageView: they have shown interest by clicking on your link.ViewContent: they look at an individual product they like.IntitiateCheckout: they’ve added your product to their cart.Purchase: they buy your product. Or your funnel could simply be just to acquire a lead, rather that’s getting their email, phone number, scheduling a meeting, or anything else you consider a lead to be. Awareness: they see your Facebook page or ad.PageView: they have shown interest by clicking on your link.Lead: they submit their contact information. Now that you understand what a sales funnel looks like, you’re going to need an ad at every step of the funnel to achieve massive results. Awareness: the ad you might promote is anything from a blog post, a quote, a statistic about the industry that relates to them and your product/service, a free report, a case study, or a consultation. Interest: the ad you run would dynamically place an ad in front of anyone who visited your website or engaged with your awareness ad from the awareness phase. This means they have shown an interest in your brand. Now you might run an informational ad about your product or service that states your potential customers' pain points (the problem) and then explain how your product/service will help them (the solution). If they visit your website and look at a specific product or service a dynamic ad shows that person exactly what they showed interest in. Action: The ad targeting would be to people who purchased your product or service. This ad you would either upsell them to another more expensive product or cross-sell them because you know they already have bought from you once. Another would be to keep customer loyalty by running an ad that says “our CEO wants to thank you for being a great customer”. Which goal you choose for your advertising campaign will also impact the audience you target. If you’re trying to build brand awareness, then you might try to target people who’ve never heard of your business. But if you’re trying to generate conversions, then it’s a better idea to run ads to people who already know about your brand and have indicated that they have interest in buying. Start with deciding on a goal for your advertisement and don’t run the ad before you’ve determined it. If you are still having trouble with this process than Chappell Capital can help you, with their Facebook and Instagram ad management service that is 100% done for you. Each social media platform is different. Some social media platforms are great for B2B advertising while others are great for B2C advertising. Still, some work for both. Not only that, but each platform also offers different advertising options. On Facebook, you can target custom and lookalike audiences, which we’ll talk more about in a little bit. And on LinkedIn, you can target matched audience types. Above all, though, Facebook is the giant and the preferred option for business owners and advertisers everywhere. Whether you are your business is B2C or B2B Facebook is the way to go. 95% of marketers said that Facebook produces the best ROI for their advertisements. As you can see Twitter, Instagram, and LinkedIn come in pretty far below the percentage of Facebook. If you’re looking to advertise on social media, then you should consider the top platforms and work with what’s best first then test in other media outlets. Still, one platform will work better for B2B while another works better for B2C. They each have their own unique selling points for you to run ads on their platform. Well, if advertising for B2B company, then LinkedIn should be at the top and if your marketing for B2C business Facebook then Instagram should be the top for you. YouTube is one of the best platforms for building a connection with your audience since it’s based on primarily long-form video content. Twitter has the largest U.S user base, Facebook has massive mobile daily users, Instagram is all about images specifically professional images, and LinkedIn is B2B oriented. Those unique differences should impact the place you advertise and the advertisements you use. Each of these platforms is going to cost you a different amount to get your end result. So choose the platform that will provide you with the best ROI. This will save you from wasting money and time. You never want to pay for advertisements that run for weeks and receive little-to-no attention. Which sadly, is what happens most often businesses and marketers run advertisements without taking the necessary steps and getting the proper knowledge. The audience you choose to target. Will all have some form of interests in common and behave in a particular manner. Facebook offers very solid detailed targeting information for you to get very specific with who your customer is. Facebook calls it custom and lookalike audiences. Most of the social media platforms will have some level of targeting options but Facebook by far has the most. On LinkedIn, it’s matched audiences and on twitter its called tailored audiences. What these audience types allow you to do is create another audience that is very similar to a successful audience you already have. For instance, if you have an email list that is super successful, it has a 100% open rate and you always get sales from your list. Well, with custom and lookalike audiences, you can leverage that email list and create an audience that will likely perform with the same numbers. Uploading your email list to social media will allow you to do two things. You can target your email list with ads from social media. Which can lead to increased engagement and sales. Target an audience that is similar (lookalike) to your email list and then get similar results from what your current email list is doing. Facebook lookalike audiences, advertisers experience higher-quality and scale than other advertising options. Also, installing a Facebook pixel is highly recommended for optimal results. This will allow you to get more targeted information for your Facebook page. There are instructions on how to set it up on Facebook. Most social media platforms guide you through the steps with each of their tracking codes. Once installed, they will receive data from your website to understand how your ad is performing and give you better audience insights for future ads. It gives really valuable information if you set it up. Then you’ll be able to start creating those custom and lookalike audiences that will give you the most of your ad dollars spent. Run retargeting ads to show advertisements to people who have taken or even not taken a specific action on their website. If you remember from earlier retargeting ads have tremendous power in bringing back and keeping new customers around. An important thing to note: you only have access to retargeting ads on Facebook if you install the pixel on your website. Same goes for other social media platforms including PPC. Someone visits your site, and the Facebook pixel tracks their actions. Let’s assume they added something to their cart BUT… they did not purchase. Then, when they go on Facebook, they will be served an advertisement that smacks them in the face (not literally, well kinda) with the exact item they added to their cart. Typically offering a discount to incentivize them into purchasing. This makes everyone happy, they get a discount and you didn’t lose a sale. For obvious reasons, retargeting ads are very successful and get better results than the other less-targeted options. But how successful are those retargeting ads? With retargeting ads, the pixel does not depend on cookies, which are device specific. But they identify the actual user. Which mean if they visited your website on their laptop and used Facebook on their phone, the pixel still can place an ad in front of them on their phone even if they used a laptop look at your website. It’s a clear strategy and a superior tool that has way more advantages than traditional advertising methods. If you use retargeting ads I know you will get more out of your marketing dollars on social media. Less risk.Your targeting people who are already interested.Can serve ads on multiple devices.ROAS is bigger. The cost to run retargeting is less than basic targeting. You become more relevant. Some people just need a little push to buy or they got distracted. Retargeting is the key. Social media is only going to get more expensive in the future. If you don’t act now you will be among the group that wishes they had taken action. Social media is remarkable in finding and targeting your audience. I truly hope you realize how amazing social media is for generating results. Even if you now have to “pay to play”. Your ad dollars still will go a tremendous way. You can use social media to advertise your products, grow your business, generate leads, improve customer loyalty and get ahead of your competitors. The four things you need to remember and start putting your focus into is finding out your goals, choosing the right social media platform for your business, create a lookalike audience and start retargeting. Then you will start getting the most out of your marketing dollars in the social media playing field. What are some new social media strategies you're going to put in place to improve your ROI?